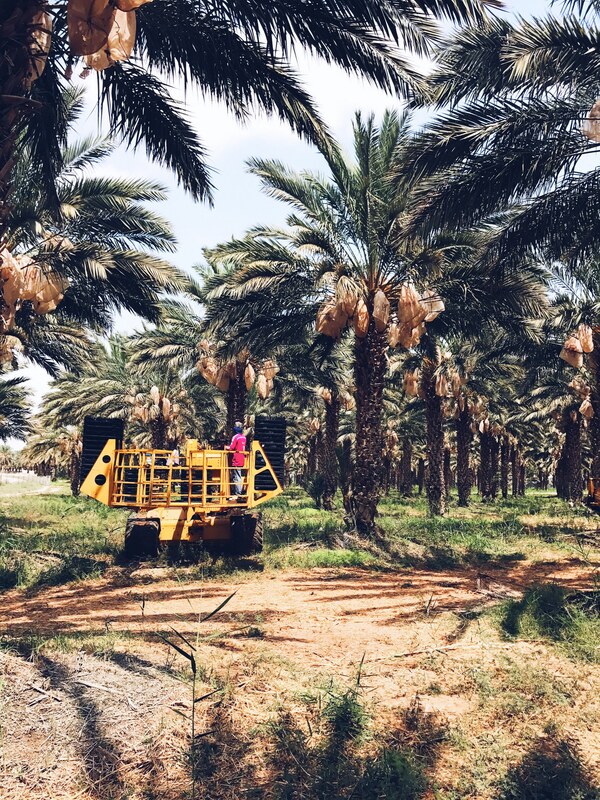 Fresh organic medjool dates straight from the palm tree! 🙂 These are called “super juicy” medjools, they literally melt on your tong and taste like pure caramel. Auf irgendeinem deiner Fotos habe ich mal gesehen, dass du mit einer Leica fotografierst. Welches Modell hast du? Ich brauche nämlich einen Apparat, welcher sich gut zum Reisen eignet. Machst du alle Fotos hier auf dem Blog mit deiner Leica-Cam? Würde mich soooo über eine Antwort von dir freuen. Hey! First of all I LOVE your blog! I’m a vegetarian but trying to become a vegan! And finding vegan recipes in your blog it’s just awesome!! I came across with this post and I’m so happy you visited Israel!! I’m from Israel and I absolutely love this country and the dates 😉 ! Awww thats so mice to hear!! Israel was one of the most amazing countries I ever visited!! Have you been to Bana in Tel Aviv? Have a lovely evening and thanks for your kind comment! Those pictures are amazing! 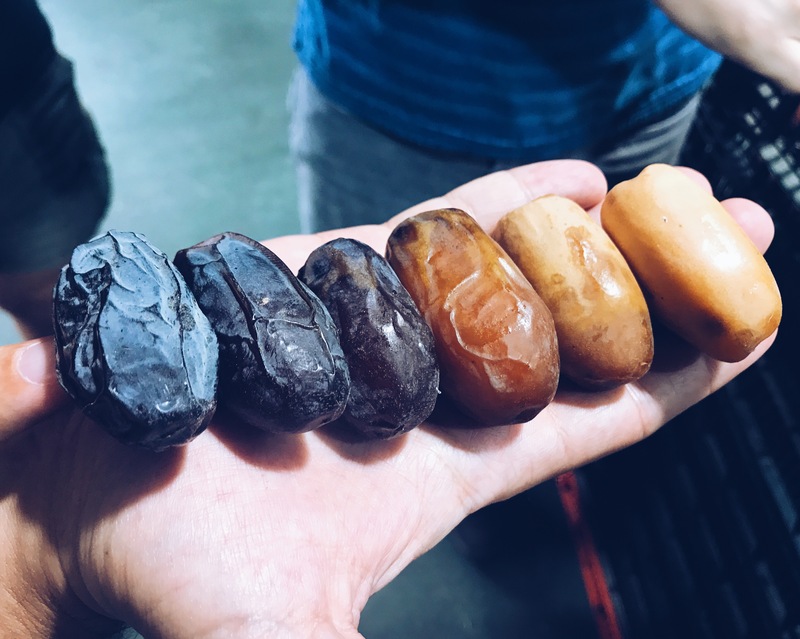 It’s so cool to learn a little more about dates, I love love love them but don’t know much about them so it’s really nice to read about it! really lovely to hear that!! 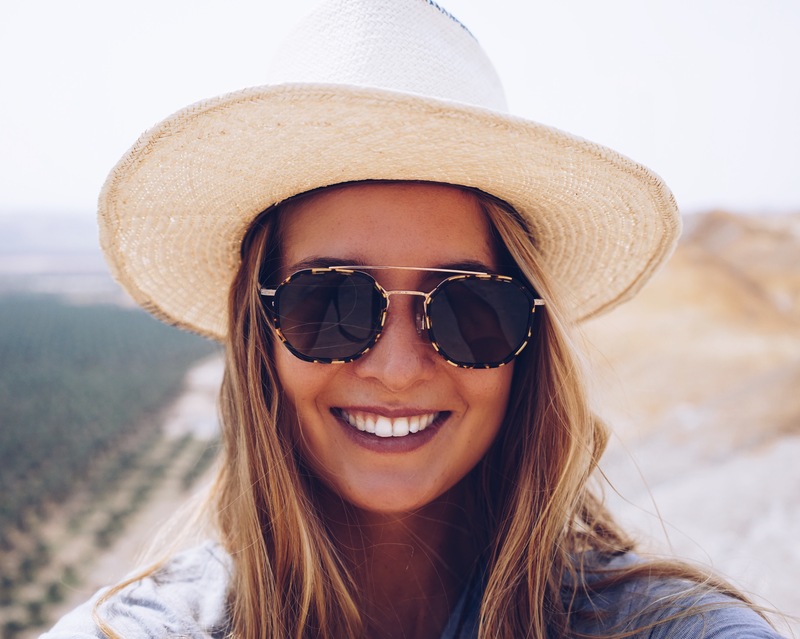 Love this blog so much and I’m so glad to see you are having such a great time here in Israel! 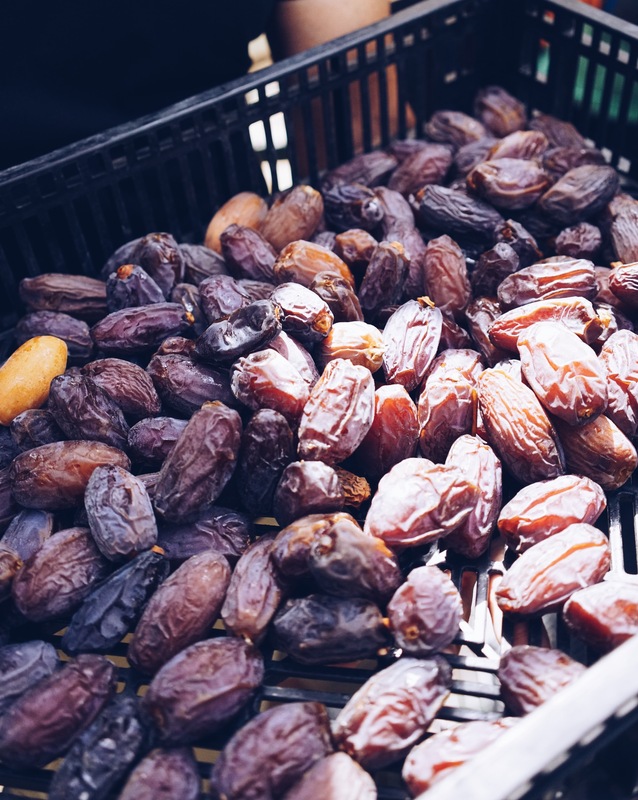 Glad to hear that you are loving medjool dates as well!! Cant wait for you to try mine! Thank you so much!! I had such an amazing time in Israel!! So glad to hear that you and your kids are loving dates as well! Cant wait for you to try mine! 🙂 Will def give your smoothie recommendation a try:-)! Sending you a big hug from Israel!